For the next match – Spain vs Russia. 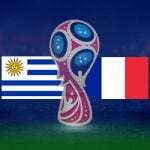 Uruguay face Portugal in the first game of the knock-out round at the 2018 World Cup and the South American side will be heavily fancied to progress. Oscar Tabarez’s men are yet to concede a goal in the competition and despite some laboured performances in their opening two matches, they looked far more dangerous against Russia. Led by Diego Godin, they are tough to break down and have plenty of firepower in the final third. Portugal struggled to carve out chances against Iran and were punished in the last minute. Fernando Santos’ men could struggle in this game and Uruguay can be backed at 17/10 with Bet365. Uruguay stepped up against Russia and fired in three goals which helped them seal top spot in Group A. 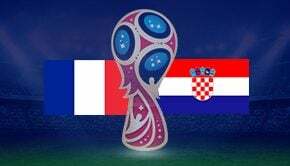 They will face Portugal in the round of 16 and will be confident of booking their place in the last eight. They haven’t conceded a goal in the competition and they looked defensively secure against the hosts. Luis Suarez has two goals at the 2018 World Cup, whilst Edinson Cavani is also off the mark as well. Portugal narrowly qualified for the knock-out round after drawing 1-1 with Iran. They claimed just five points from a possible nine and failed to create many meaningful chances against weaker opposition. Many of the Portuguese players have struggled at this tournament with Cristiano Ronaldo netting four of their five group goals. We’ve seen plenty of goals at the 2018 World Cup but neither of these two teams are high-scorers. Portugal netted three times in their opener but only managed a single goal in each of their subsequent two games. They are relatively solid at the back and will be aiming to keep it tight throughout the 90 minutes. Uruguay are defensively sound and they are yet to concede at this tournament. They effectively manage the game and they could decide to shut up shop if they take the lead in this game. Under 2.5 Goals looks like the best option in this contest and it’s available at 17/35 with 888sport. A goalless first half is likely to be popular as well and it’s 19/20 with William Hill to be 0-0 at the break. Uruguay are yet to concede a goal at the tournament with Egypt, Saudi Arabia and Russia all failing to hit the back of the net. Jose Gimenez and Diego Godin are a formidable duo who are likely to keep things tight once again. Ronaldo aside, Portugal have looked poor in the final third and they may struggle to find a way through in this game. Betfair are offering 7/10 for Both Teams to Score? No and that looks the standout bet in this market. 888sport have priced Uruguay up as narrow favourites and they are available at 7/4. European champions Portugal can be backed at 15/8, whilst it’s 19/10 for the game to end all-square. Cristiano Ronaldo has netted four of Portugal’s five goals at the 2018 World Cup. Portugal have kept just one clean sheet in the last three matches. They commanded 67% possession against Iran.